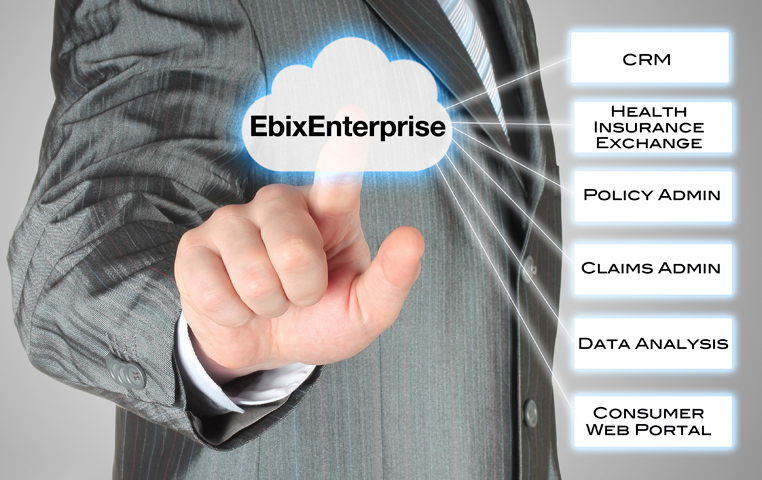 Ebix’s Claims and Policy platforms were developed to help businesses administer policies and manage claims in the most flexible, performant manner available today. EbixEnterprise Claims, EbixEnterprise Policy and EbixEnterprise Analytics are components of EbixEnterprise, a comprehensive insurance management solution that streamlines policy management throughout its lifecycle. EbixEnterprise Analytics was developed to provide business leaders with intelligent reporting solutions. These reports can help guide the business in assessing and developing new provider contracts and reimbursement models, as well as new benefit plan designs and pricing. Ebix Analytics harnesses the data from the core operational processing platforms (Policy and Claims) and presents it as information business managers can understand. This facilitates a continuum of internal business process improvement. Businesses can exploit new markets while sustaining and improving their competitive advantage and profitability. No executive will make decisions without accurate and current information at hand. Nor do they have time to sift through long and numerous operational reports. EE Analytics’ Executive Summary provides decision support based on accurate summaries and detailed drill-down information of core operational data. Cross tab reports answer multi-dimensional analytical queries swiftly. Management receives information to effectively monitor business performance and productivity. Managers can rapidly spot areas needing immediate attention. Using EE Analytics with the Executive Summary feature, operational data is connected and is seamlessly integrated to provide meaningful reports. Key Performance Indicators can be configured in a variety of ways. So, while the CFO may be interested in daily sales volume reports, actuaries may want to see reports that analyze claims ratios. Ebix Analytics comes with a suite of pre-defined KPIs that quickly provide immediate business value. Ebix Analytics enables the provision of business intelligence by leveraging advanced data warehousing and technology for leading edge reporting and distribution. Data is collected and stored from multiple information sources into a central data store. The repository is specifically optimized to support the complex queries and drill down capabilities required to provide succinct and accurate information. Data can be extracted in a myriad of formats and transformed, queried, and analyzed. Complex reports can be quickly and intuitively built or a suite of off-the-shelf reports are available for immediate use. 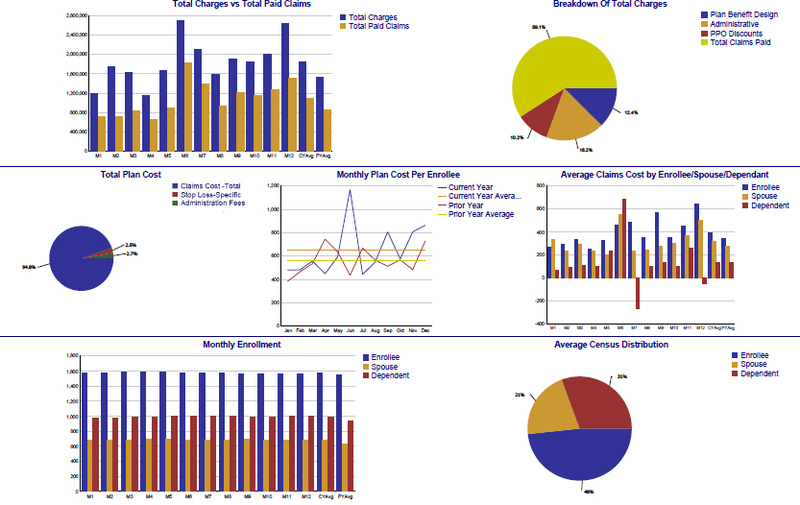 Analyze claims and identify trends. Manage costs. Note deviations from claims benchmarking norms and identify potential medical fraud. Identify market opportunities for new products and features. Determine if products are appropriately priced and profitable (Claims experience against premium, e.g. loss ratio). Develop customer population profiles. Understand customer preferences and lifestyles. Analyze claims histories and rectify limits for instant payouts. Shorten claims cycle times. Improve customer satisfaction and retention. Reduce labor costs. Optimize costs associated with higher technology procedures. Through the analysis of operational data, clients are able to obtain intelligent insight into such things as deductibles, out-of-pockets expenses and co-insurance amounts. EE Analytics provides plan administrators, carriers and healthcare organizations the greatest opportunity to impact overall and specific expenses. Businesses can discover competitive products and services, improve profitability and effectively manage financial and reserve information. Detailed analyses provide carriers with the information needed to quickly make decisions and follow developing market demands in a timely, cost efficient manner.